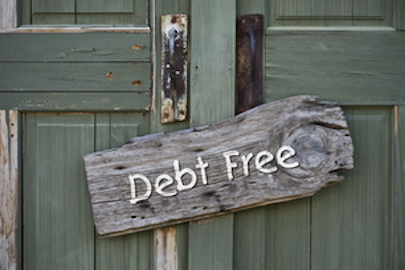 Becoming debt free is not as hard as you think. Imagine if you may, living with no more credit card bills! No more loans! No more car payments! No more mortgage! No more monthly payments! And no more being a slave to your creditors! Those are some strong words, but as you’re about to discover throughout this site, there are many clever twists in the debt system that allow you to turn the tables on financial institutions. We’re glad you’re visiting our debt free IQ resource. At Debt Free IQ you will find many resources starting now, that will show you how to transform your debt into riches, with just the money you already make and you can retire debt free and the path to becoming more wealthy! Can you see the big picture? “Debt Free Living” Just take a moment and ponder the following information. The median household income in America is roughly $54,000. Now, multiply this by the average forty-year working life and you’ll discover that the average household will make a cool $2,160,000 in a life time. Yes the average Joe is already wealthy based solely on there current income. Here’s another example to toss around, one over-the-road trucking firm advertises that their average driver earns $64,700 per year. That truck driver will clear $2,588,000 over the course of their career, and if they manage it wisely, they could end up with a net worth greater than much higher income earners who do not manage their spending. For many; debt is the root cause that prevents us from becoming wealthy. Where do your financial goals come from? Are they yours, or are they an ideal that was given to you by the media, the creditors, and our culture? Get out of debt solutions are not always what that are cracked up to be. Avoid the wolves in sheep clothing and discover factual resources that will help you eliminate your debt and begin living a debt free life. So with that said, we hope you enjoy our section on becoming debt free, and we wish you the best in your journey to obtaining your freedom!